Let S. Bogetti Jewelry be apart of the most important moment in your life! 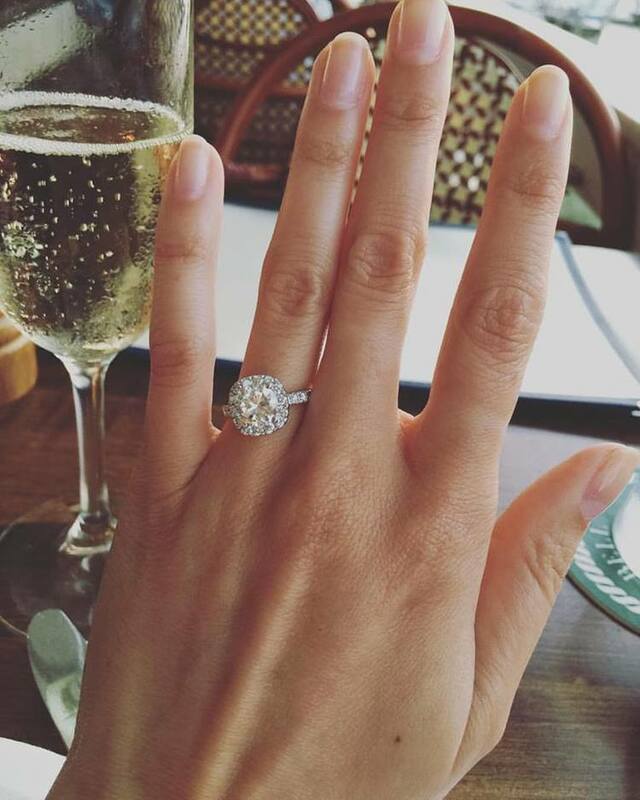 We can help you design and create a ring that is unique to you and would be delighted to be apart of your love story! 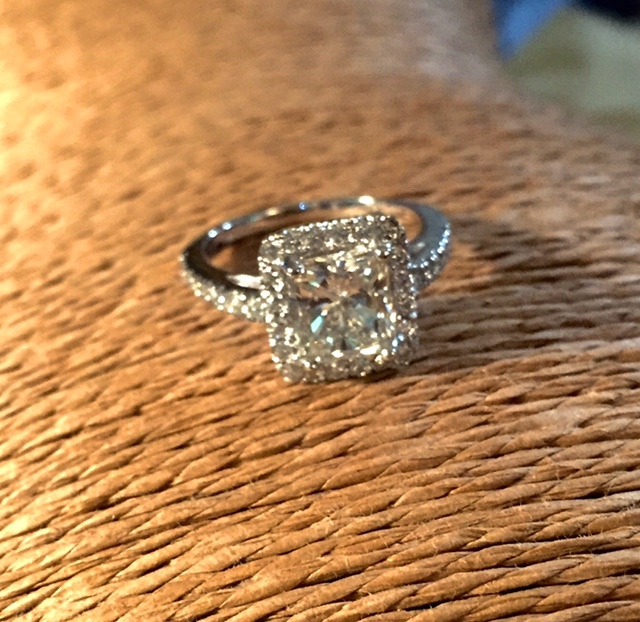 Custom made platinum ring and supplying 1.50 carat GIA certified emerald cut diamond. 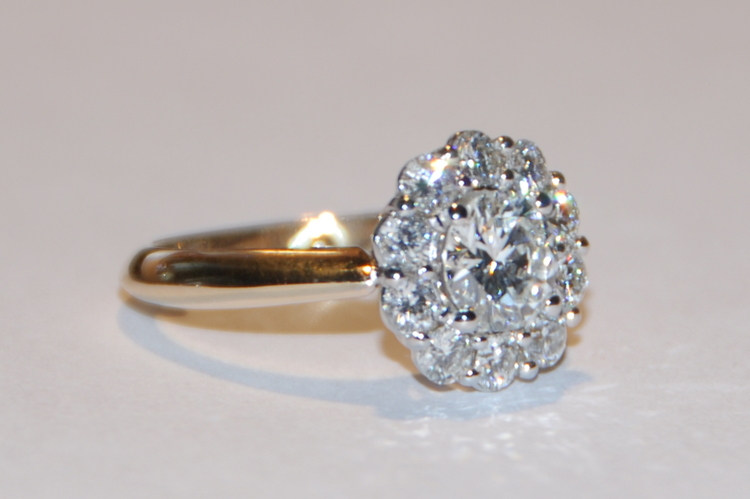 Custom made engagement ring supplying center 2 carat GIA certified diamond. Custom made supplying this 4 carat oval aquamarine stone and designed this 14k rose gold moutning. Custom made supplying this 2 carat black diamond and designed and made this 18k yellow gold mounting. This was missing one diamond and we matched this old minot cut in color size and clarity, created this mounting to hold all 3 stones. Custom made ring supplying this 2 carat GIA certified emerald cut diamond, designed this ring to slide and hold the wedding band in the middle in the future. Custom made ring supplying 2.50 ct. GIA certified diamond, designed this mounting in 14k white gold. 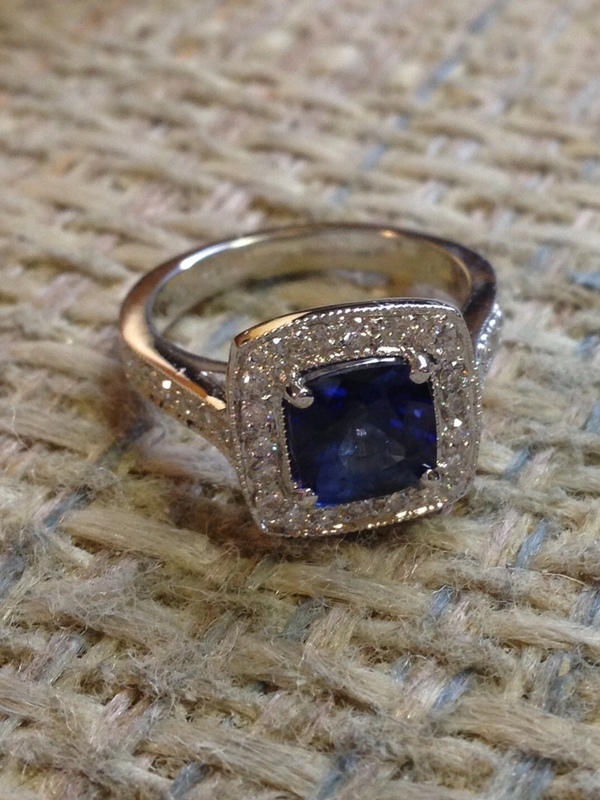 This was a ring given to mom when she delivered her son, she then gave to son to give as an engagement ring, but the center had a pearl which we removed and added a diamond, and we supplied 2 ceylon sapphires on each side of the center diamond and made this new ring! Custom made rose cut oval ring with champagne diamond halo and rose cut shank mounting.